Tottenham Hotspur's poor form has dragged them back into the top four race. 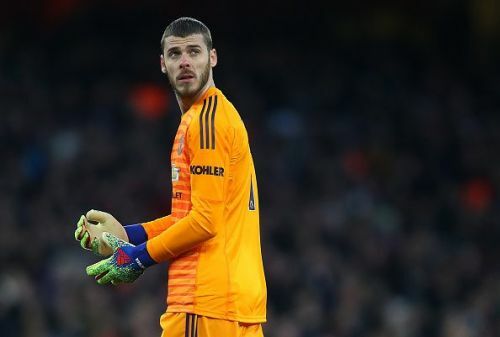 After the 2-0 defeat to Arsenal at the Emirates—his first domestic defeat—Manchester United caretaker manager Ole Gunnar Solksjaer said that the race for the third and fourth spot could go down to the wire. Indeed, Tottenham Hotspur's recent collapse after just getting one point in the last four games and Chelsea’s draw at home against Wolves mean that the gap between the third (Tottenham) and sixth-placed (Chelsea) teams is just four points, with Chelsea having a game on hand. With eight fixtures remaining, the last two spots to qualify for next season’s Champions League is up for grabs. Looking at the remaining fixtures of those four teams (Spurs, Arsenal, Man Utd, and Chelsea), goals difference could become the decisive factor of this extremely tight race. A fortnight ago, Spurs were still in contention for the league title. However, a series of poor results—three straight away defeats and a fortunate draw against Arsenal at home)—has suddenly dragged them into the top four quagmire. Worse, some difficult fixtures ahead might compound to Tottenham’s recent misery. 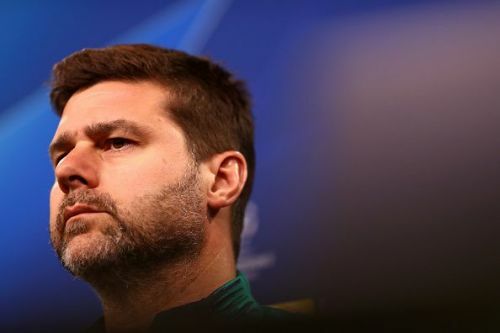 Getting something out of Anfield and the Etihad Stadium would be a massive ask for Pochettino’s men, as Liverpool and Manchester City are going all out for the title and the reverse fixtures at Wembley highlighted the disparity between Spurs and the two title contenders. 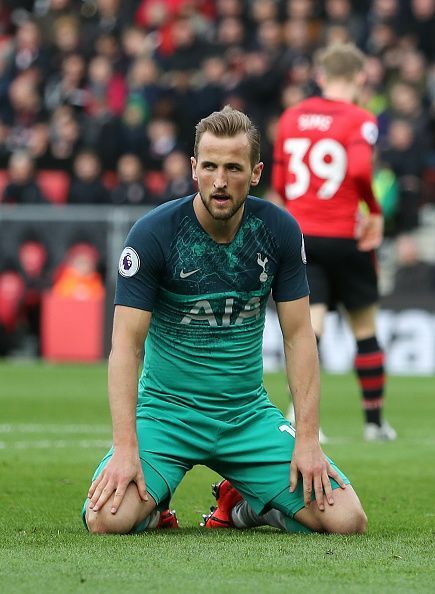 The home fixtures against Brighton and Crystal Palace are hardly cakewalks for Spurs, as history tells us that teams that are fighting for survival tend to produce some shockers in their survival bid. Visiting the Vitality Stadium could be another tricky one, as Eddie Howe’s men are solid at home and their attacking players can wreak havoc on Spurs' defense. Spurs have a quality squad to finish in top four, but they desperately need to stop bleeding before it is too late. The significance of Arsenal’s victory against Manchester United cannot be overstated. 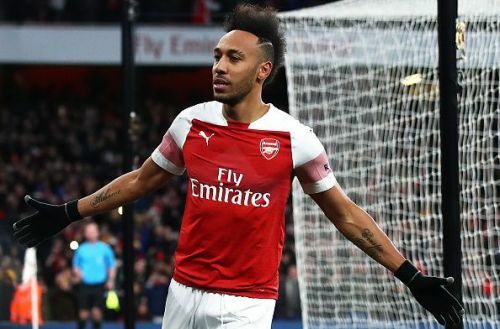 Not only did the Gunners bounce back from their poor result against Rennes in style, but the victory also consolidated their bid for top four. While Arsenal have completed all their games against the “Big Six”, they still have to negotiate some tricky away games coming up. Watford, Leicester, and Wolves could be fighting for the last spot to enter the Europa League (if the FA Cup is won by either Man City or Man Utd), and they have quality players who can trouble Arsenal’s porous defense. More importantly, Arsenal’s away record is an obvious concern, as the Gunners have only won four of their fourteen games on the road. The Emirates have been a fortress for Arsenal this season; however, if the Gunners were to secure their current position, they have to improve their away form. The defeat at the Emirates is a wake-up call for Ole Gunnar Solksjaer and his players. Man United have been flying high since the Norwegian took over; granted, their 12-game unbeaten run has brought them back in contention for the top-four. However, three key games will determine whether not the Red Devils would finish in top 4 – away trip to the Molineux, the Manchester Derby, and the home clash with Chelsea. Wolves have taken fourteen points from the “Big Six”, and they are fully capable of frustrating Man Utd again, like what they did at Old Trafford in October. The Manchester Derby is bound to be difficult not only because Man City has the best squad in the league, but also the Red Devils has only won one of their last seven home games against their noisy neighbors. With that said, the home fixture against Chelsea is arguably the most important game for Man Utd because a win would perhaps secure a position in top four and eliminate their direct rival from the race. Although Maurizio Sarri was understandably disappointed with the result against Wolves, the point earned is, in fact, vital in helping Chelsea to keep up with the three teams above them. Similar to Spurs, Chelsea have some difficult away games to deal with. Trips to Anfield, Old Trafford, the King Power Stadium, and Goodison Park could create troubles for the Blues. What worries Sarri the mo, however, is the manner in which his players approached their away games. The humbling defeats at Arsenal, Bournemouth and Man City highlighted the lack of energy and strong mentality during adversities away from home. Even against a struggling Fulham side, the Blues had to rely on Kepa Arrizabalaga to bail them out of jail. 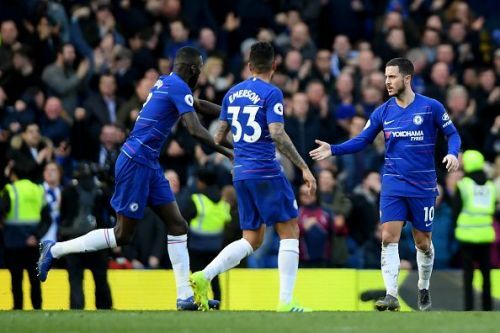 The only positive news for Chelsea is that they have a game in hand (against Brighton at home), and it is a game which they are expected to grab three points. If Chelsea were to finish in the top four, their stars need to step up against Liverpool and Man Utd. Otherwise, their season would end in a nightmare, and the future of their manager, as well as some of the top players, would be thrown into serious doubt. Spurs, Arsenal, Man Utd and Chelsea would fight for two Champions League places all the way until the final day of the league. Based on the run-ins of these four teams, it seems that the race is extremely tight that it could very well be decided by goal difference. European football might play a key role in deciding the outcome of this battle as well, with fatigue and injuries from mid-week football could take a toll on all these teams. It is way too early to conclusively tell which teams would prevail, albeit with only eight game-weeks to go. That is precisely the reason fans love the Premier League – it is immensely competitive and unpredictable.